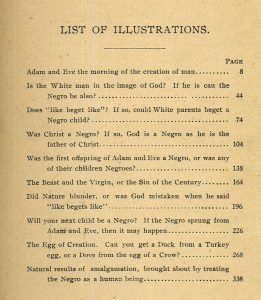 Our published collections contain many examples of works that were part of the discourse about slavery and abolition in the United States, from political and moral arguments on the issue to pictorial and narrative descriptions of the institution and its legacy in the late 19th century. Though many of these works would have been considered secondary sources at the time they were published, their age makes them perhaps more useful as primary sources — that is, as the focus of analysis themselves, rather than as informational sources. Other examples, such as personal, opinion-based genres like speeches and correspondence, were always primary sources, not substantially different from their unpublished counterparts. Use the location limiter to pinpoint materials from Hoole Library. Use the date range limiter to zero in on a particular period. Consider using key dates as boundaries. Try searching for keywords in the title field, such as slave, slavery, abolition, and emancipation. Note: Though the sources below have been sorted into pro-slavery and anti-slavery sections, as well as into arguments by type, in reality categorization is usually not that straightforward. Some writers use multiple arguments to support or oppose slavery, and sometimes these are entangled with one another. For example, the Bible was often used as evidence in science-focused arguments. Many also make arguments that may not be purely for or against a particular stance — people held complex, sometimes self-contradictory views, so the ends and means of their arguments do not always add up in our modern estimation. For example, some abolitionists believed that blacks were inferior to whites and questioned their ability to survive in freedom. 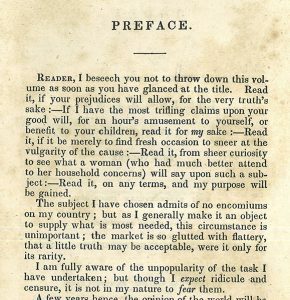 Child (An Appeal, 1836) implores the reader to take her argument seriously, despite it being written by a woman. 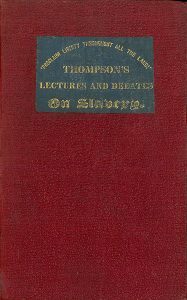 Many writers and speakers, from politicians and clergymen to authors and social reformers, rose to national prominence due to their vocal support for or resistance to the institution of slavery. For those for which we have published volumes, examples are given below. 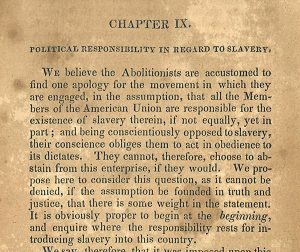 Colton (1839) addresses the abolitionist view that they are themselves partially responsible for slavery and thus must oppose it according to their conscience. As enslaved people were considered property, the political discourse frequently revolved around whether the federal government had the right to limit a state’s self-government on matters of personal property. Other arguments stemmed from the reality that the economic system of the South, as it was, depended on the availability of cheap labor. Whether derived from the Bible or Torah or from humanism, many arguments about slavery posited that Africans were inherently inferior, thus made for lowly work and better off under a master, unable to take care of themselves if freed. Some of these arguments took a historical tack, pointing out that slavery is an old institution. Others counter that chattel slavery is different than ancient practices or that arguing based on history is a fallacy. Scientific defenses of slavery, which we now label scientific racism, abounded in the mid-19th century, often tied to pseudo-scientific anthropological practices like craniometry and physiognomy. Many of the writers listed under Defense below believed in polygenism, the theory that the black and white races are separate and have different origins, perhaps even constitute different species; this is in opposition to the mainstream single-origin or monogenist theory espoused by scientists like Charles Darwin. 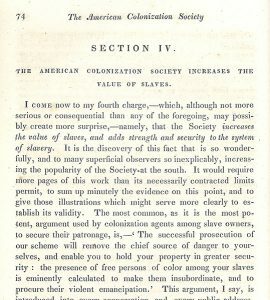 An illustration from Bourne’s Picture of Slavery in the United States of America (1838). Many accounts of slavery and the slave trade were published in the early 19th century. Those that lean more toward description tend to focus on the horror of slavery and were written to advance the cause of abolition. Others, more historical in nature, tend to compare contemporary slavery to previous examples, often in defense of the institution. Among this list are also overviews of law relating to slavery. 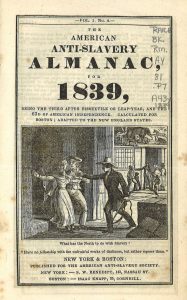 Title page from the Anti-Slavery Almanac for 1839. 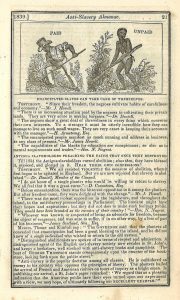 Anti-slavery societies and abolitionist groups were an important force for rallying people and resources around the cause of emancipation. They sometimes disagreed, however, on means (violence or pacifism), method (gradual or immediate), and ends (colonization or citizenship). Schemes to settle free(d) blacks in Africa began in the early 19th century. They were advanced by groups with very different ideas about the morality of slavery, and thus different motives for supporting the colonization movement. The common thread was a belief that it would be hard for free people to share a society with those that enslaved them. The earliest attempts to repatriate free and freed black Americans to Africa was in 1815 in Sierra Leone, although this largely unsuccessful venture was mostly focused on blacks from the United Kingdom. The slightly later colony of Liberia, founded in 1820 and declaring independence in 1847, is now a country of more than 4 million people. Spring, Gardiner. Memoirs of the Rev. Samuel J. Mills, Late Missionary to the South Western Section of the United States, and Agent of the American Colonization Society, Deputed to Explore the Coast of Africa. New York: J. Seymour, 1820. 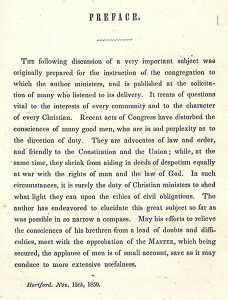 Patton’s work addresses the concerns of Christians torn between conscience and law with regard to the recent Fugitive Slave Act of 1850. The earliest federal law requiring fugitive slaves to be returned to their owners was the Fugitive Slave Act of 1793. It was frequently mitigated by state and local laws, including personal liberty laws, and by the U.S. Supreme Court ruling in Prigg v. Pennsylvania in 1842, which held that states did not have to assist in the recapture of slaves. The Fugitive Slave Act of 1850 returned the power to regulate fugitive slave law to the federal government. Enacted as part of the Compromise of 1850, it required government agencies and citizens of even Free States to return escaped slaves to their masters or face fines and other penalties. Though further personal liberty laws sought to counteract this, from 1850 onward it was much more dangerous for fugitive slaves if they were caught, even in the North. Discussions of the probable consequences of emancipation often fed into anti-abolition arguments. 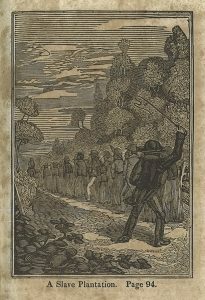 Reflections on actual emancipation in the Caribbean, following abolition efforts in the European colonial sphere, were also part of the discourse about ex-slaves and abolition in the U.S., providing examples both positive and negative. 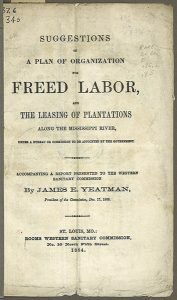 Cover for Yeatman’s Suggestions of a Plan of Organization for Freed Labor, published the year after the Emancipation Proclamation (1864). Though the majority of Northern states had enacted laws to abolish slavery before the Civil War, freedom did not come for enslaved people in Southern states until the Emancipation Proclamation, in 1863. This was a wartime measure, enforceable only in the rebellious southern states, and it did not abolish slavery or grant citizenship to former slaves. That was accomplished via the Thirteenth (1865) and Fourteenth (1868) Amendments. The formerly enslaved were supported by the Freedman’s Bureau and other federal aid.